Soneva Gili resort hotel Maldives is located in one of the largest lagoons in the Maldives, on the privately owned Lankanfushi Island. North Male atoll in the Maldives. Lankanfushi is one of the largest lagoons in the Maldives and apart from the crystal clear waters, for which the Maldives is so renowned, the island and the lagoon provide the unique experience of combining natural lush vegetation on the island and an abundance of fish in the surrounding waters. 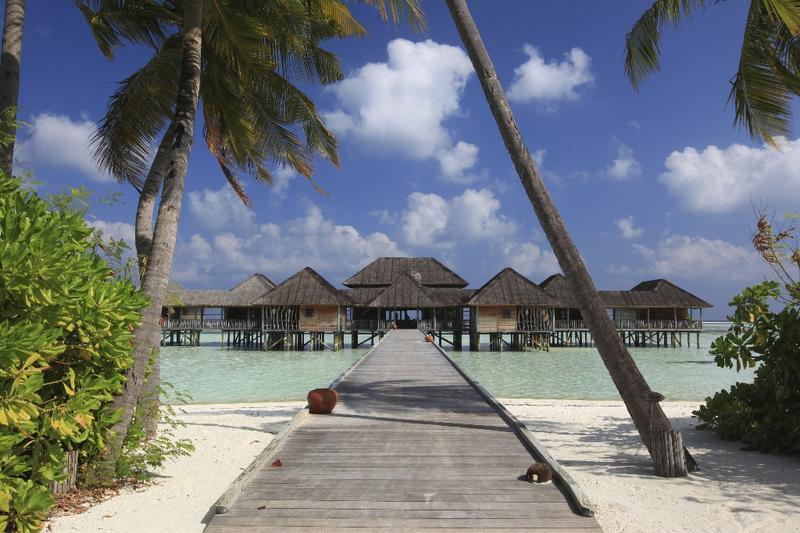 Soneva Gili is a short 20 minute boat ride from Male, the capital of the Maldives. 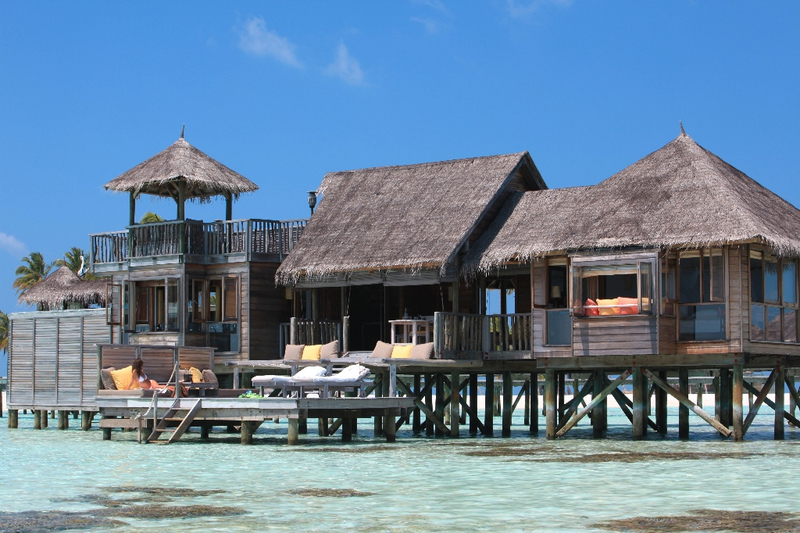 It is a tiny coral island in a sparkling lagoon, with jetties threading across the water out to spacious villas. 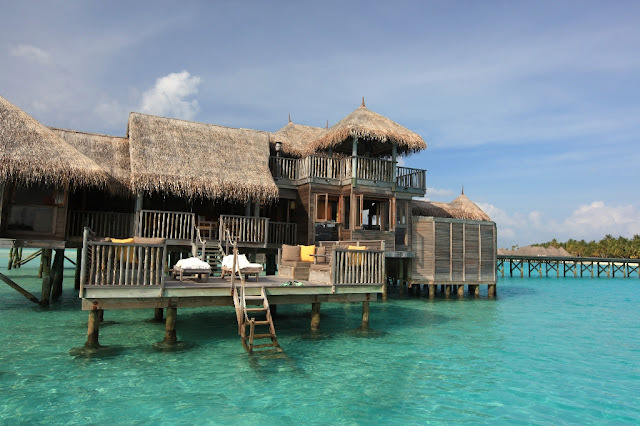 Apart from the sparkling waters, the tiny island provides a very intimate atmosphere fused with luxuries of the highest international standard to create a wonderfully serene and natural experience, continuing the Soneva philosophy of Intelligent Luxury. 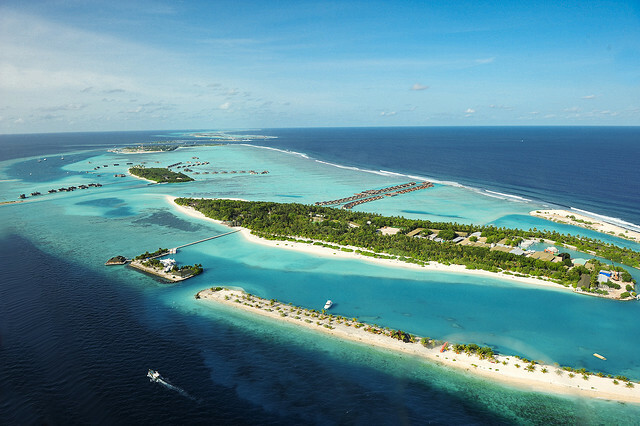 Soneva Gili is a short 20 minute boat ride from Male, the capital of the Maldives. 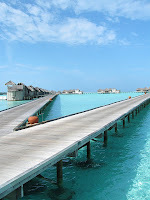 It is a tiny coral island in a sparkling lagoon, with jetties threading across the water out to spacious villas. Soneva Gili offers just 45 sumptuous over-water villas, including 7 Crusoe Residences and The Private Reserve reached only by boat. Each villa has not only been designed and built with the utmost attention to detail, but are also environmentally-friendly and reflect the harmony of life by the water's edge. Each has its own private water garden and sun decks, and the bathrooms have a separate shower accessed along an open-air walkway. 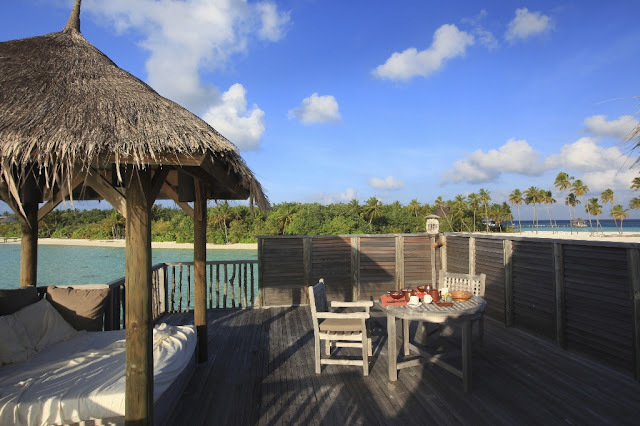 The water villa suites and the Residences have all the luxuries found in most exclusive resorts. However, while offering all these facilities, the utmost care has been taken to make the resort environmentally-friendly and to reflect the harmony of life by the water's edge. Therefore, the cantilevered sun deck sits just above the water level, making dining in ones villa a panoramic dream. The villas and the residences are spacious with wooden floors. The interior decoration has been devised to recreate a natural habitat, using sustainable woods, natural materials and traditional fabrics, whilst still offering all the modern day amenities and creature comforts of true luxury. At Soneva Gili by Six Senses we are very sensitive to the environment. 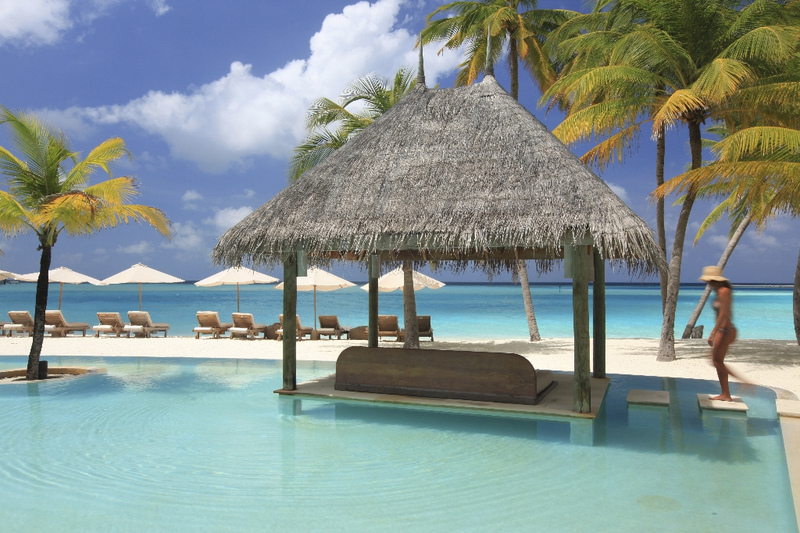 The utmost care has been taken in developing the island with respect to its ecological balance. 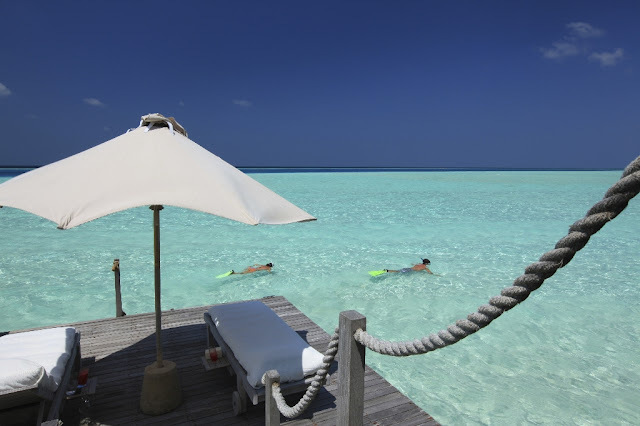 The Maldives is a paradise for snorkeling and diving and the resort has its own fully -equipped PADI diving school plus a variety of water sports. This place tops the list of must-do destinations for those in the know.